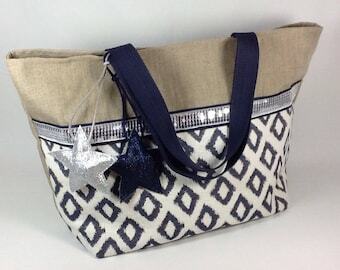 A bucket bag or purse, in pure washed linen and leather for a casual and chic shoulder bag! 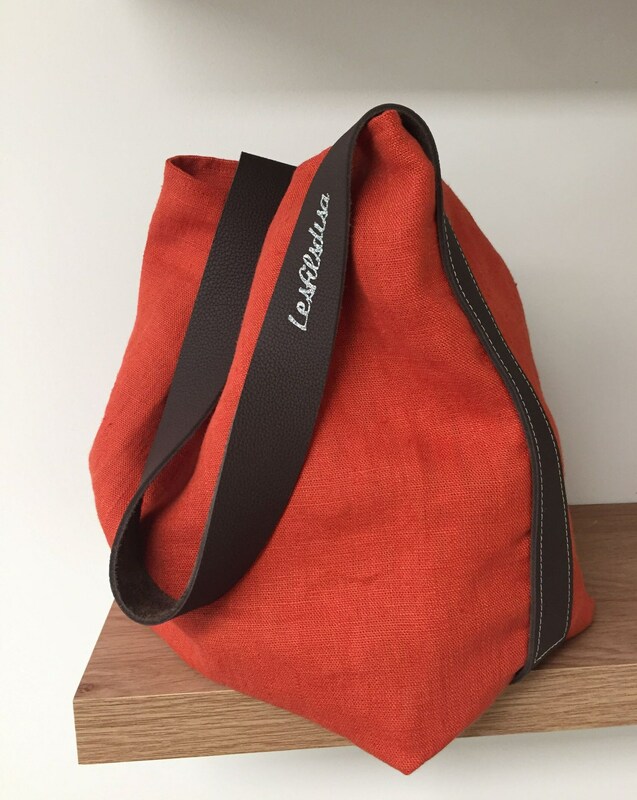 Designed in a beautiful red washed linen, bright, which is held well, it is provided with a soft handle in real brown chocolate leather, stitched. Beautiful capacity but very light, this bucket bag or tote bag, you will follow everywhere and will easily wear with all your outfits. It will fold easily, allowing you to take it everywhere !! Inner lining in beige linen. Inside patch pocket in coordinating linen. Each article Lesfilsdisa is imagined and manufactured in the workshop with care and attention to detail, from design to shipping. You will receive it with tracking number, well protected and beautifully packaged, ready to be offered! Delivery to metropolitan France is offered; flat rate participation for the rest of the world. La couleur rouille est lumineuse et magnifique, et je suis fan de la doublure en toile de jute. Achat reçu rapidement, que du positif !